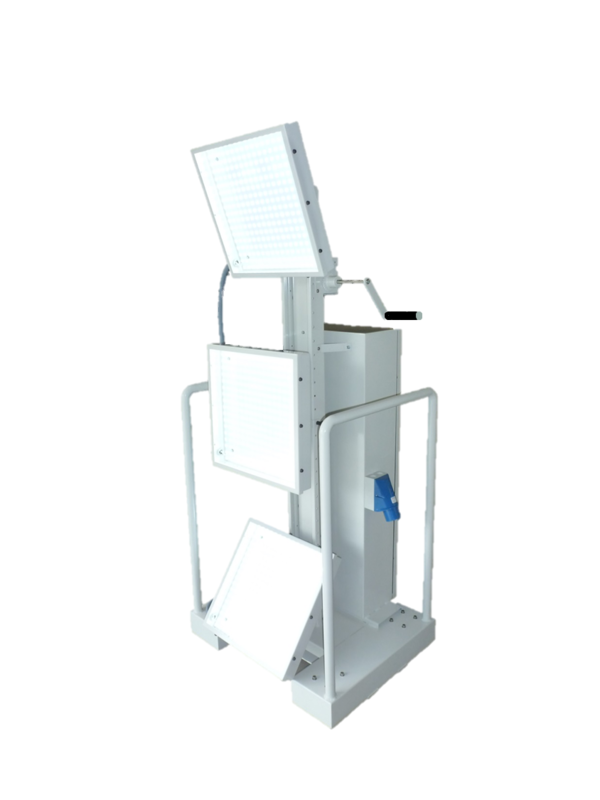 The Inferno is a trolley built with robust metal sheets and mounted on wheels, equipped with three powerful LED luminaires supplied by electrical batteries. The luminaires’ height can be modified by hand, and the telescopic column can reach a height of 3 m if required! The batteries last for minimum 8 hours, and a protection device disconnects them in case of deep discharge to prevent damage and ensure a long battery life. A nice project to show you what we’re capable of!